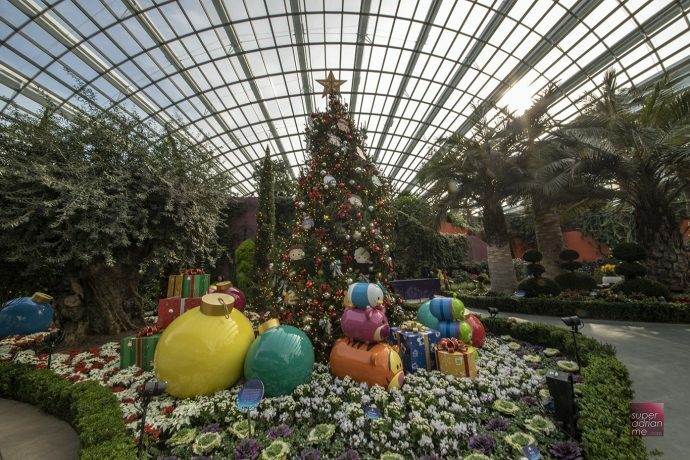 Now there’s another reason to head over to Gardens by the Bay from now till 6 January 2019. 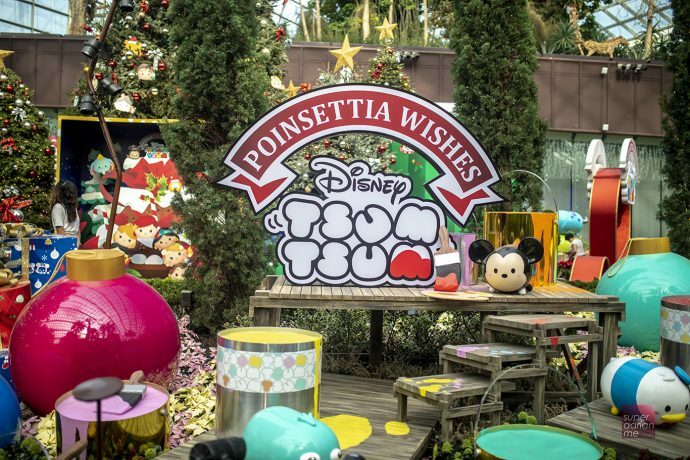 The Flower Dome has been transformed into a Christmas wonderland featuring Poinsettias and Disney Tsum Tsum. You can visit anytime between 9 am and 9 pm. I would recommend coming in the afternoon and stay on. Best time to capture the sunset where lighting is great for photography within the garden. 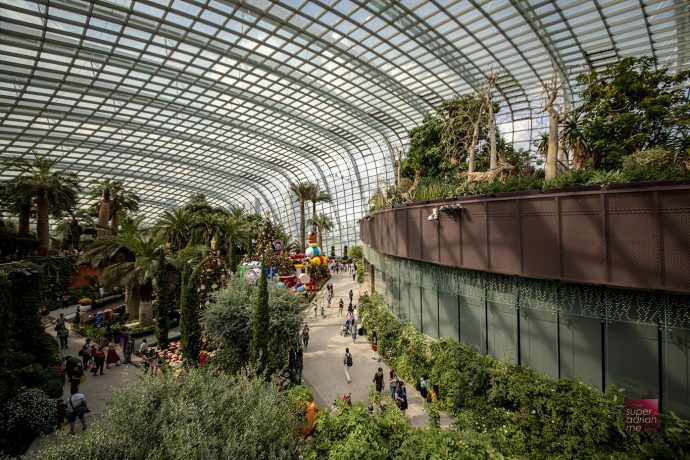 The Flower Dome has been segmented into five main sections. Presents for All features the Poinsettia plant (Euphorbia pulcherrima). Poinsettias are after all the living symbol of the festive season. Did you know that the coloured parts of the plant are actually bracts (modified leaves), while the actual flowers are small and borne in the centre of the modified leaves. 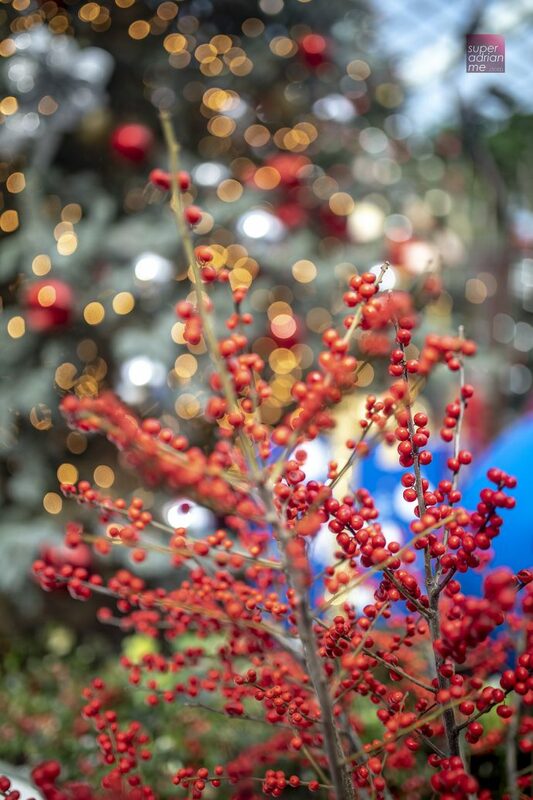 Look out for poinsettias in unique hues of brown, lime-yellow and speckled red and yellow around the Flower Field. 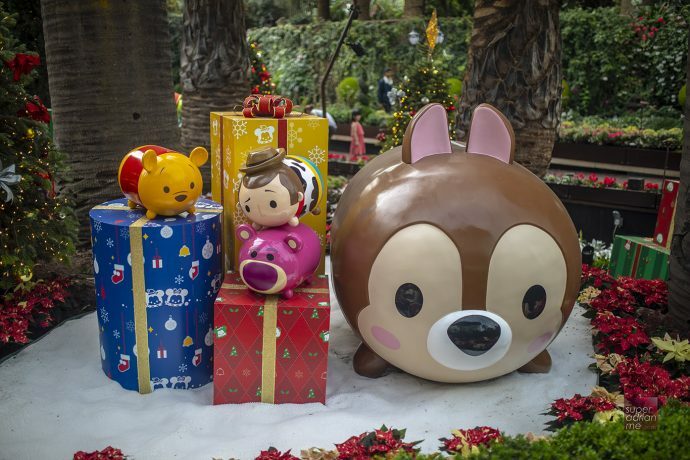 At Ribbon Fun, Tsum Tsums are taking turns to slide down the ribbons as they get distracted from their gift wrapping. Looking out for blooms of Amaryllis which are indigenous to Central and South America and Kalanchoe that bloom in winter or American Wintergreen. Remember. Don’t touch the flowers so that they last longer for other guests to enjoy. The Tsum Tsums are putting their creativity to work at Bauble Painting which is to be hung on the Christmas trees. Look out for Violets here. Easy to spot them with up to five petals, four of which are fan-shaped with two on each side, and one broad, lobed lower petal pointing downward. Their charming leaves are typically heart-shaped and scalloped. 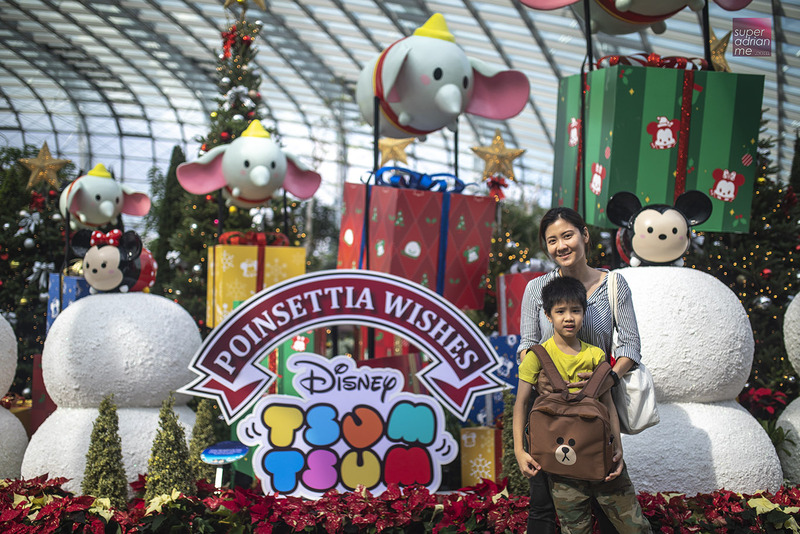 The Holiday Cheer zone lets you admire the magical dioramic scenery, filled with conifers, fairy lights and Tsum Tsums. 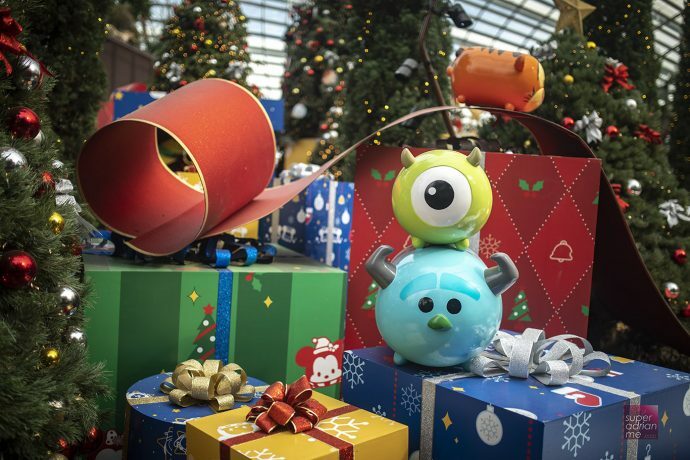 Appreciate the Christmas trees at the Stacking Around the Christmas Tree zone. Poinsettia Wishes featuring Disney Tsum Tsum at Gardens by The Bay till 6 January 2019. Pictured here is Team Bubbamama. Guided tours that last approximately 15 minutes are held on a first-come-first-served basis at 11 am and 3 pm daily ( 2 to 5 pm on 24-25 Nov and 8 – 9 December). Gather at the “ASK Me!” poster near the Flower Field, and the tour will begin where five or more visitors have assembled. Learn about the fascinating botanical facts and anecdotes about the floral display from the guides. Enjoy the cool climate within the Flower Dome as you snap photos with backdrops that are irresistibly adorable. 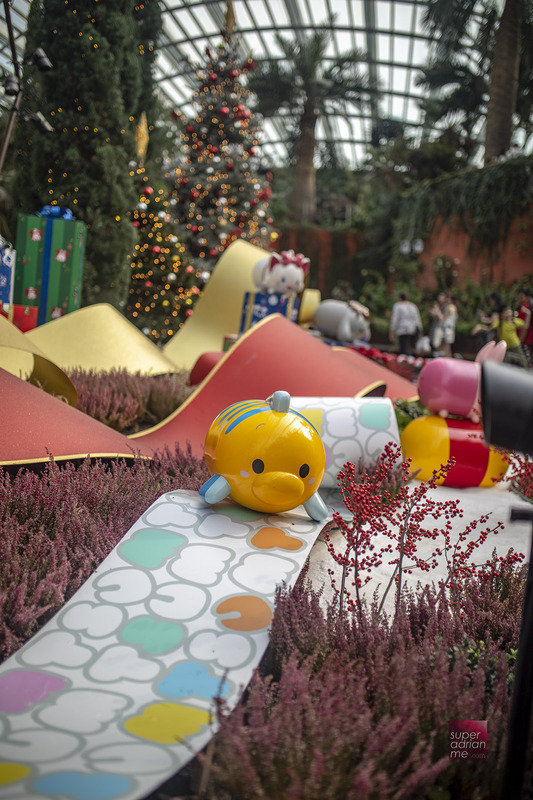 Admission to the Flower Dome is ticketed. Foreigners can purchase tickets online from Klook at a discounted price of S$23 for the Flower Dome and the Cloud Forest. 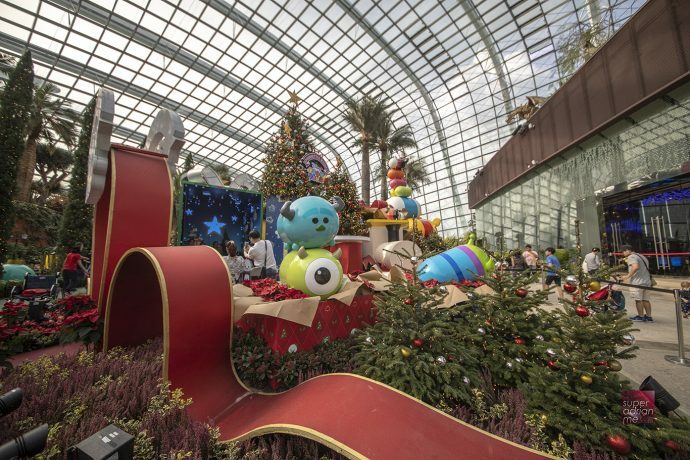 Singapore Residents can purchase tickets at a special price. 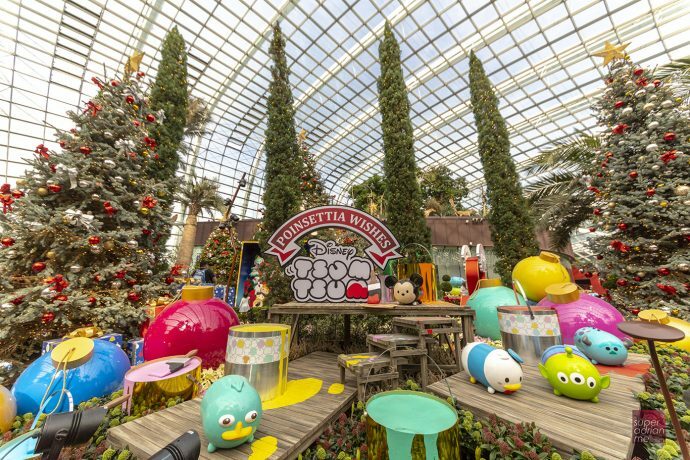 From 30 November to 26 December 2018, Christmas Wonderland returns to Gardens by the Bay. 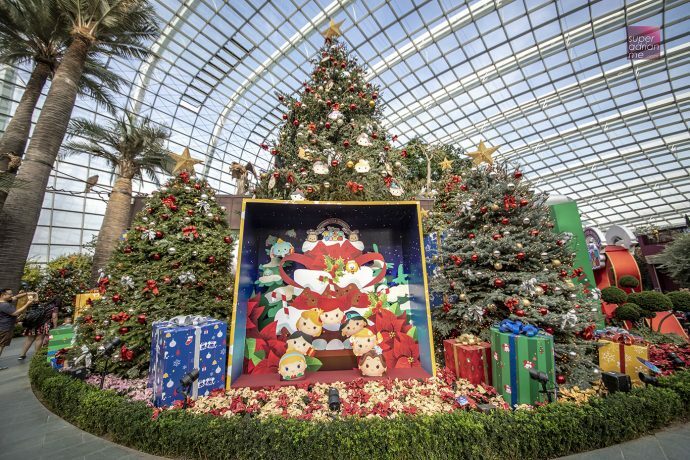 Highlights include Asia’s tallest luminarie Christmass tree measuring 20.7 m and illuminated in gold at the entrance of Gardens by the Bay. 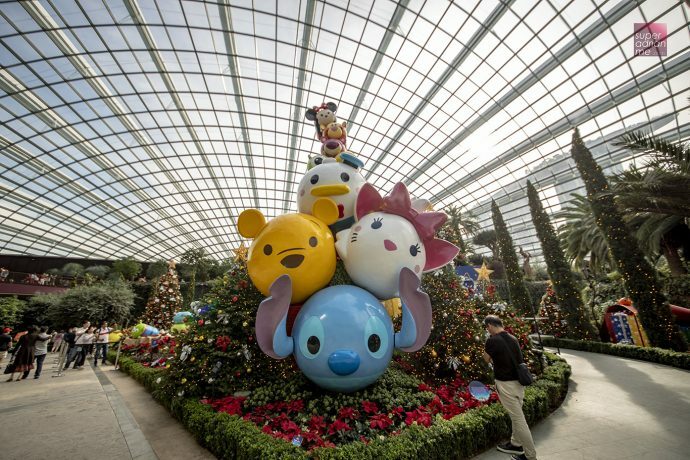 A majestic 22-metre high luminarie mirror maze will be erected at the Supertree Grove. Santa’s Grotto features an even bigger festive installation of kinetic light installation from Germany. America’s Got Talent 2018 quarterfinalist Rob Lake will be performing. Garden Rhapsody – The Christmas Special light and sound show will also be happening at the Supertree Grove. Experience snow in the Blizzard Time and shop at the Festive Market. Admission tickets are priced at S$4.